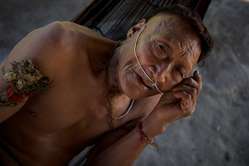 Raya, a Nahua elder. More than half his people were wiped out after their land was opened up for oil exploration. Peru’s Indian Affairs Department has revealed plans to open up uncontacted tribes’ reserves to oil companies – just days before the country’s new government takes office. New laws would allow the state to grant oil and gas companies open access to the reserves, despite the extreme risk this would pose to the Indians’ lives. The proposal has generated a wave of criticism from indigenous organizations. 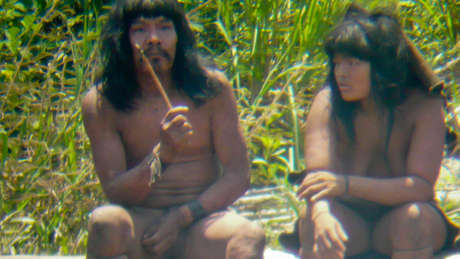 Around 15 tribes have chosen to resist contact in the Peruvian Amazon; all face extinction if their lands are opened up. Critics have highlighted the timely coincidence of the proposal with plans to expand the massive Camisea gas fields in south-east Peru. 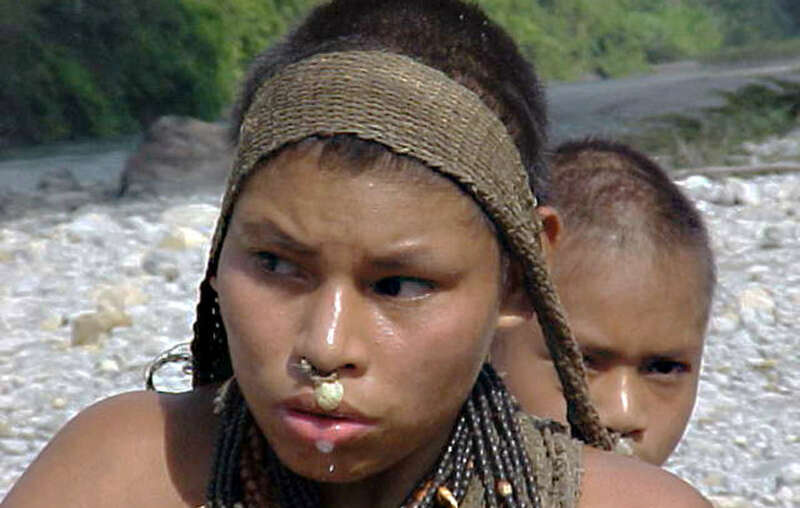 A Nanti woman in south-east Peru. The controversial gas project covers a significant part of the Kugapakori-Nahua-Nanti reserve, where several uncontacted tribes are known to live. According to Peru’s leading Amazon Indian organization, AIDESEP, any new exploration in the reserve would breach conditions set by the Inter-American Development Bank, which funded the development of Camisea. Both Peruvian and international laws state that indigenous people should be consulted about projects affecting their lands. In the case of uncontacted tribes, this consultation is impossible. Survival is calling for all oil and gas exploration on uncontacted tribes’ land to cease immediately.